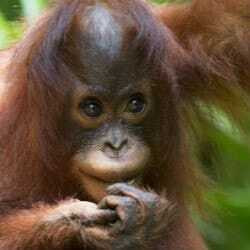 Adopt an Orangutan and help WWF to protect their future. Adopt and receive a cuddly toy Orangutan, a fun filled WWF adoption gift pack, plus updates on your animal three times a year. You can help WWF safeguard the future of these beautiful creatures with a monthly adoption and help protect these gentle giants and their habitat. 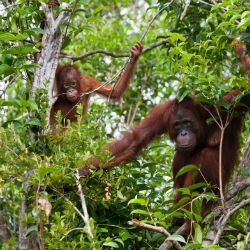 Orangutans are now only found on the islands of Borneo and Sumatra. 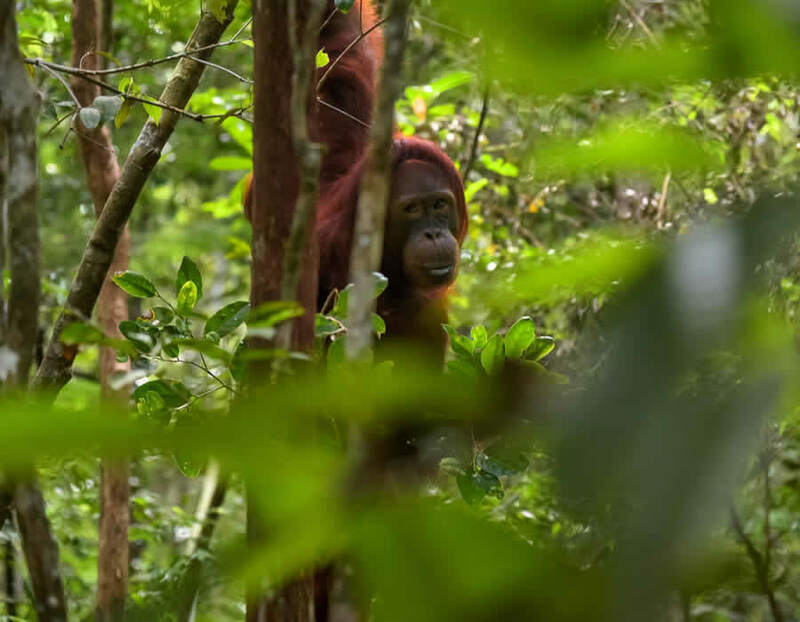 If the current rate of deforestation continues, Borneo could lose most of its lowland forests in less than ten years, leaving these creatures with nowhere to live. By adopting an orangutan you will be helping WWF to create extended protected areas of rainforest, whilst also teaching local communities how to manage their area through the sustainable use of natural resources. Support WWF’s efforts in promoting sustainable palm oil use. The rainforests that serve as home to the orangutan have the ideal climate and soil to support palm plantations which produce palm oil. Since palm oil is found in 50% of the products in your local supermarket, it should come as no surprise that the forest is being cleared to make way for these plantations. 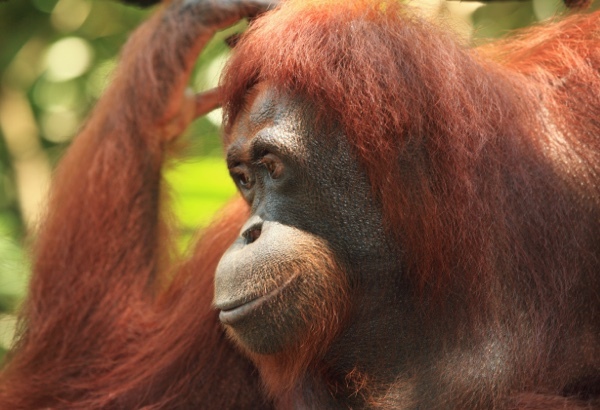 There is a sustainable way to make palm oil which does not harm the habitat of the orangutan. By adopting an orangutan through WWF you will be aiding its efforts in promoting the use of sustainable palm oil to both manufacturers and consumers. Support attempts to stop habitat destruction. 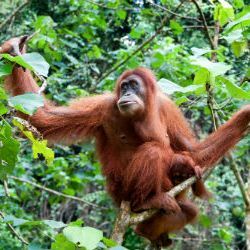 As with all endangered species, habitat destruction represents the single greatest threat to the survival of the orangutan. They live in Indonesia which is rich in natural resources so their habitat is being destroyed to exploit precious metals or oil. Unless organisations like WWF step in and do something, the fate of the orangutan is all but sealed. By adopting an orangutan through WWF, you will be providing the funds needed so that the WWF can create and extend protected areas of rainforest and ensure the species survival. 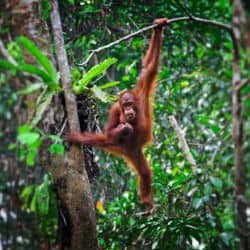 Despite falling numbers of orangutans, local people living in the rainforests of Indonesia continue to hunt the species as they seek to make a living from agriculture. 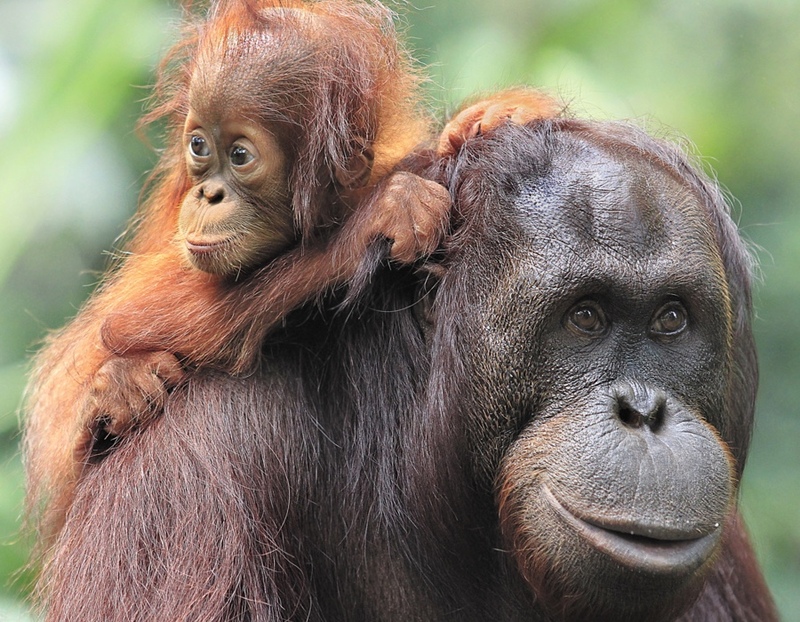 As many as 3000 orangutans are killed every year despite the fact that this hunting is completely unnecessary. By adopting an orangutan through WWF, you will be helping to fund education efforts that will allow local communities to better manage their relationship with protected areas and with this endangered species. Stop the illegal pet trade. Somethings just shouldn’t be allowed to happen. If you visit the street markets of Jakarta, you will eventually come across a caged baby orangutan that is for sale. This is cruel and completely unconscionable and the practice needs to be stopped. Organisations like WWF are in a position to do something about this and you can help their efforts by adopting an orangutan. Adopt an Orangutan and the recipient gets a beautiful gift pack to let them know just how much you care about them. An optional cuddly toy of your Orangutan. 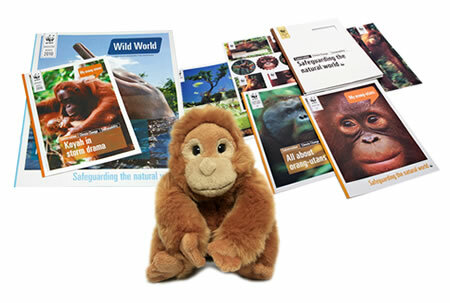 WWF's "Wild World" and "My Orangutan" with news and updates for your adopted animal. There are two species of orangutans. The Sumatran orangutan and the Bornean orangutan which live on the islands of Sumatra and Borneo respectively. The orangutan is a great ape along with gorillas chimpanzees and bonobos. This means they have large brains, gripping hands and forward facing eyes. Human beings are also great apes which means we share 96.4% of our genetic makeup with the orangutan. 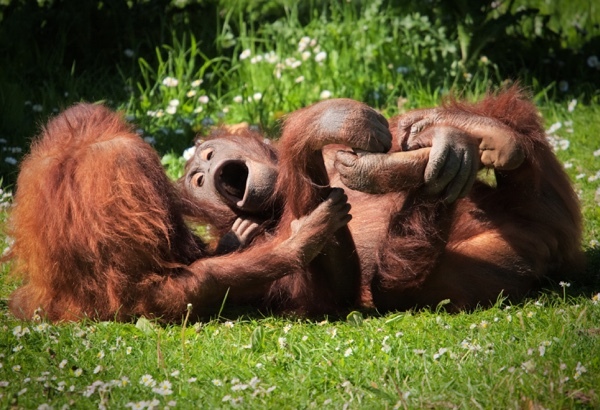 Orangutan’s arms stretch out longer than their bodies and have a span of up to 8 feet. Orangutan’s are extremely strong and this gives them the ability to hang upside down from tree branches for long periods of time so they can feed on fruit and leaves. Our team bring your the latest Orangutan news from around the globe.